Here's the fastest and easiest way to get a tourist visa to China! Apply for your China visa at just Rs 9,000. 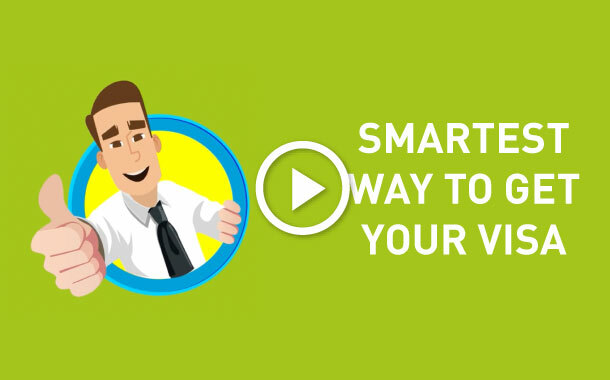 Follow our simple application process and get your visa in just 8 working days. For instant China visa assistance, call us at 022-68311010 or fill in your details. Have queries related to your China visa? Look no further! Musafir.com provides China visa assistance in Mumbai, Bangalore, Chennai, Kolkata, Hyderabad, Pune, Lucknow etc. No, if your visa is approved, then no changes will be possible. The visa will have to be voided by the visa office and a new application for the visa has to be submitted. In case you are already in China and you have made changes in your plan, you’ll have to apply to the Public Security Bureau for change in the visa type or extension. Your application will be considered by the Public Security Bureau in accordance with relevant Chinese Laws and Regulations. I have got a new passport, but I have a valid Chinese visa in my old passport. Can I travel with both passports to China without applying for a new visa? How do I read and understand my China visa? 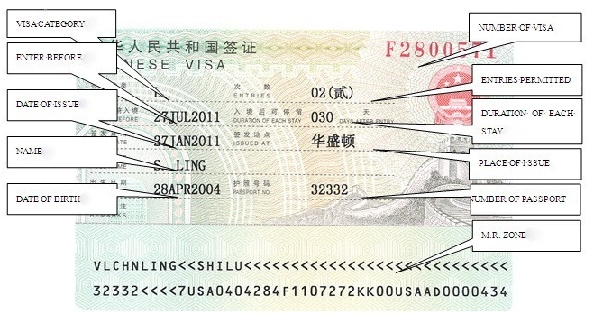 ’Entries’ refers to the number of times you are permitted to enter China. It can be single-entry, double-entry, or multiple-entry and good through the validity of your visa. ‘Enter Before’ refers to the validity of a visa. Duration of Each Stay is the maximum number of days you are allowed to stay in China on each entry, calculated from the date of entry into China. Do I need to schedule an appointment for visa application? No, you may visit the Visa office anytime during business hours unless otherwise required by a consular officer. How long does it take to process my application? What is the right time to submit my visa application? Yes, it can be availed at an additional cost. Please note that not all applications can be expedited as some requires longer processing time. I will be travelling to China on company business and also to meet few of my friends in China. What type of visa is should I apply for? You should report the loss to Public Security Bureau as soon as possible and go to your country's embassy or consulate in China to apply for a replacement passport or travel document. Post that, you must go to the Public Security Bureau to apply for a new entry and exit visa. How do I extend the validity of my visa, if I am already in China and need to increase my duration of stay in China? You must apply for an extension of visa from the Public Security Bureau in China. I have a China visa, but I am also planning to visit Hong Kong, Macau and other Chinese cities as a tourist. Can I travel with my China visa? No, if you are an Indian citizen, you will have to apply for a separate visa to enter Hong Kong, Macau and other regions. If you are US citizen, then you can visit these regions without a different visa. All the applicants should fill the visa application form with great precision and accuracy with the aforementioned documents. The normal China tourist visa can be processed within 8 working days, but for an express visa, you’ll be charged extra. If the information provided by the applicants is incorrect and the application forms are not complete, the visa will be denied. Proof of finances and the covering letter issued by the company of the applicant or bank statement should be provided. The documents should be provided in their original form.